Please be advised that the forum will be unattended for the duration of the Thanksgiving holiday, 26-29 Nov. During that time, we'll only answer questions if we need an excuse to escape from in-laws or screaming babies (which is worse is a matter of some debate). Regular service will resume Monday 30 Nov.
Thanksgiving message below the fold. To our US peeps: happy holiday and stay safe; don't drink and drive, and if you go shopping on Friday, don't get trampled. 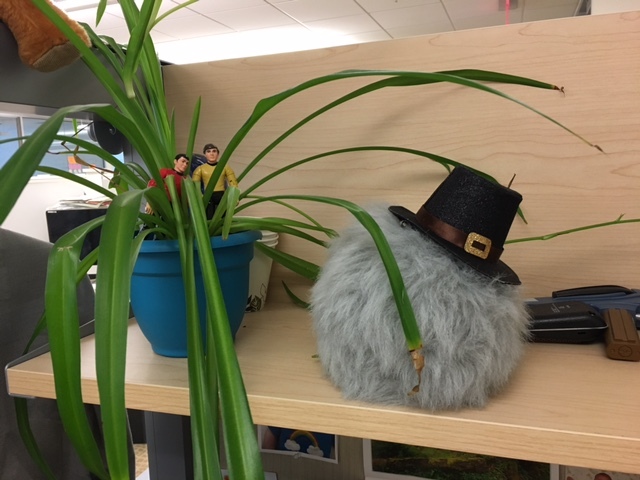 To everyone: Thanksgiving Tribble says thank you for choosing GATK as your preferred variant discovery solution! We hope you enjoy the new version 3.5, and we look forward to sharing some more exciting developments in the near future. And a very special thank you the super-users and developers among you who have contributed in many ways this year, from answering peers' questions in the forum to developing software patches that fix bugs or contribute new features. Every little bit helps!